A pungent nose features notes of petrol, rosemary oil, pear and a hint of orange peel. There is a bit more volume and punch to the bigger and slightly richer medium-bodied flavors that exude a subtle salinity onto the mouth coating and lingering finish. While similar to the Chaumées, there is just a bit more here and this should repay 6 to 8 years of cellaring. Chassagne is the most southerly of the famous trio of great white wine communes (below Meursault and Puligny-Montrachet) in the Cote de Beaune district of Burgundy. 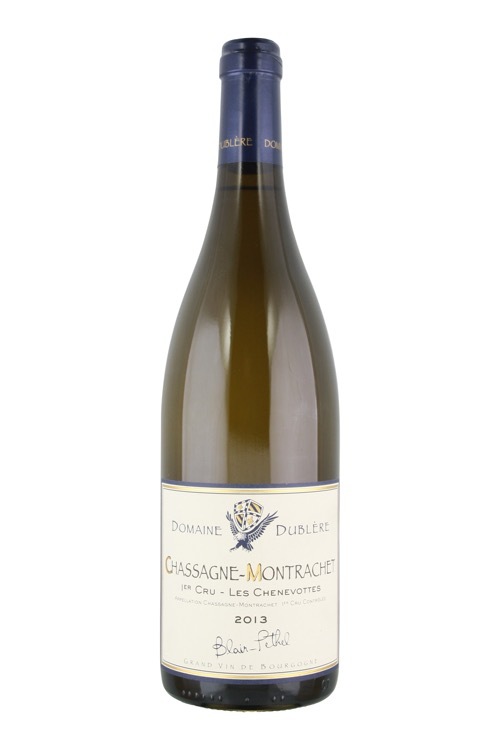 Historically Pinot Noir was the predominant variety in the vineyards, however simple economics has dictated that with a premium paid for white Chassagne, it is Chardonnay that is grown. Given the consistent excellence of the villages white wine this change is not without its merit . Straddling the Puligny-Chassagne village boundary at the north are two of the world's most famous vineyards, Le Montrachet and Batard-Montrachet. In addition the village also has the whole of Les Croits, an extension of the grand cru Batard-Montrachet vineyard. With 370 hectares under vines it is one of the largest villages in the Cote d'Or and has a record 51 premier cru vineyards. And while premier crus such as Les Chenevottes and Clos-Saint-Jean located close to the grand crus perform exceptionally well, the more southerly vineyards - la Maltroie and Morgeot - do not dissapoint. The village's wines are similar to Puligny, perhaps less minerally angular but nevertheless full and firm and more perceptable acidity than Meursault.